Small sided games are a great way to teach concepts and get your players multiple touches. In this post you will see a fast paces small sided games that creates multiple scoring opportunities. In the video clip below Tom Mura, from World Class Coaching, shares a great small sided game he calls Continuous 3v3v3. This drill can easily be adapted to 4v4 or 5v5. The idea is to create multiple scoring opportunities for multiple players in a fast paced drill. In this video, Coach Mura is using a grid of 20 x 15 and medium sized goals with no goal keepers. He divides nine players into three teams of three. One team of three is placed in the middle of the field and the other two are assigned a goal to defend. The team in the middle of the field will attack one end. Should they score a goal, they would take the ball out of goal and attack the other team at the other end. They would continue to keep the bal as long as they score. If the defending team wins the ball (or the shot on goal fails), they will take the ball and attack the opposite end of the field. If they score the keep the ball and attack the opposite end. If the fail to score the defensive team will take the ball and attack the opposite end. This pattern continues until either a certain score has been reached or a specified amount of time has elapsed. One coaching point is to stress the importance of getting an offensive player in behind the defense. This will potentially create an opportunity to split two defenders with a pass. If the defense drops a player back to cover the offensive players, then there will be additional open space to pass and attack with the ball. 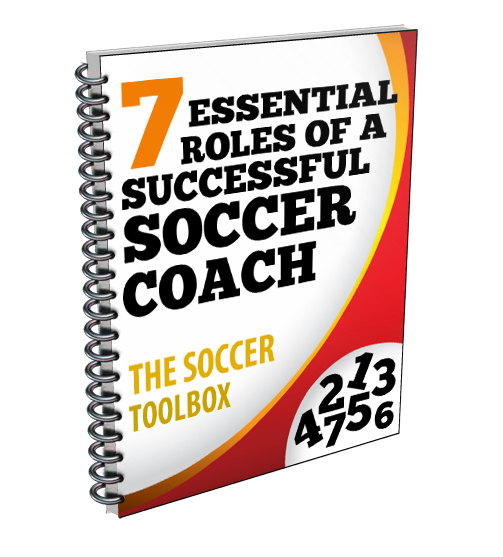 Our partners at World Class Coaching offer a wide variety of resources for coaching. Here is one that you can get for free. 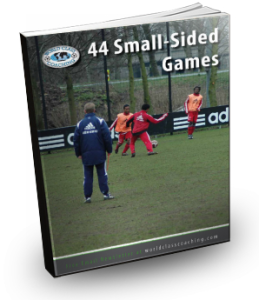 Click the link 44 Small Sided Games and receive this free eBook.